An assembly fixture 3D printed by Techniplas. PRNewswire photo. VENTURA, Calif.—Techniplas, a global design and manufacturing provider of automotive products and services, reported that it has completed the deployment of Sharebot 3D printers at all of its 14 manufacturing facilities worldwide as part of its ongoing digital transformation. The move is designed to maximize the company’s manufacturing efficiencies and agility, the company said in a press release. 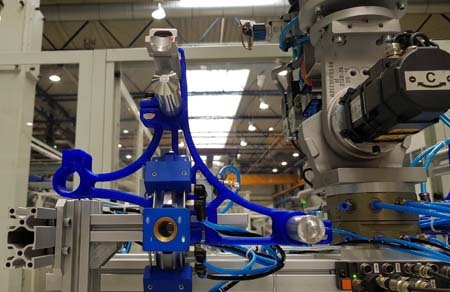 The deployment across five continents allows Techniplas to expand its use of 3D printing to produce the majority of its manufacturing tools, jigs, fixtures, gauges, and robotic arm attachments that are used daily on its assembly lines. Sharebot (www.sharebot.it) is a global provider of professional-grade 3D printers that are dedicated to industrial applications. Techniplas (www.techniplas.com) said it believes that the key to streamlining its production process is a new breed of additive tools, jigs, fixtures, gauges, and robotic arm attachments. 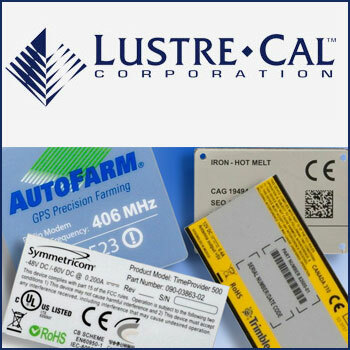 All of them are designed and manufactured in-house, based on direct and ongoing input from its line operators and assemblers in each of its factories. As Techniplas teammates assemble mission-critical parts and components for leading automotive customers, locally installed Sharebot printers are expected to enable production line teams to perform their tasks faster, and with increased precision and quality. 3D printed plastic and metal parts at a Techniplas factory. PRNewswire photo. 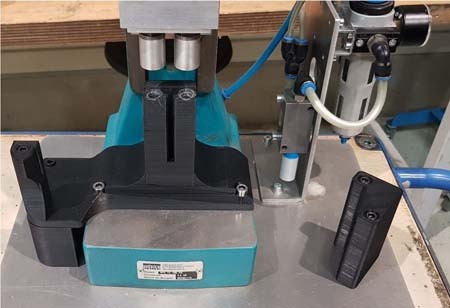 Prior to the deployment of Sharebot 3D printers in its 14 manufacturing facilities, Techniplas relied solely on third-party providers to manufacture its assembly line tools, resulting in lengthy lead times and higher costs. The announcement followed Sharebot’s addition to the Techniplas Open Innovation Program in September 2017. Several of Sharebot’s latest large-format industrial 3D printers are already installed at the Techniplas Additive Manufacturing Innovation Center in Ventura, California, where the company is integrating the latest generative, cognitive, and additive technologies to accelerate industry 4.0 preparedness. Based on its ongoing development work at Techniplas Digital, the company said replacing its conventionally manufactured jigs, fixtures, gauges, and robotic arm attachments with additively manufactured aids, over time, can reduce its fabrication expenses by as much as 70 percent and compress its delivery times from weeks to days. With Sharebot’s open 3D printing platform, Techniplas can now easily tailor specific materials — namely, high-impact, high-temperature materials — to enhance its capabilities of fabricating customizable manufacturing production tools in-house.